Invasives Strike Force | Lower Hudson Partnership for Regional Invasive Species Management. Would you like to help protect our environment while you hike or enjoy our regional parks system? You can become a citizen scientist by volunteering for our Invasives Strike Force Team! Our Invasives Strike Force volunteers help spot invasive plants so that we can schedule work days to remove them. 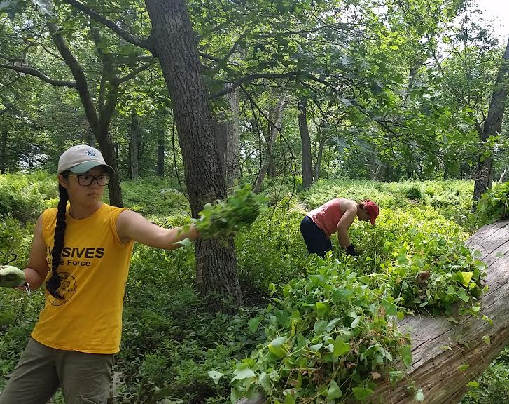 As a Strike Force volunteer, you’ll learn easy ways to identify a set of invasive plants commonly found along the trails and how to record information about their locations. You can also volunteer to help the Strike Crew on scheduled removal days! Seasonal ISF Conservation Corps Crew also conducts removals around the Lower Hudson region and serves as the Lower Hudson PRISM's rapid response crew. New to our survey program offerings in 2019, EcoQuest surveyors utilize an easy-to-use mobile app, iNaturalist, to photodocument invasive species in our region's parks and trail systems. The uploaded photos are used by our scientific team to track the distribution of invasives in our region and help determine best management practices. For more information on this program and to learn about the monthly Ecoquest challenges (a scavenger hunt version of our Ecoquest program that keys in on two focal species for that month), please visit our ISF Ecoquest website. To become an Ecoquest survey volunteer, please register here. Walk the trail while identifying and mapping these invasive plants. Attend a half-day training session to learn 11 more invasive plants. 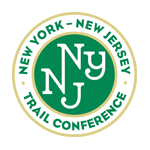 Surveys are conducted along hiking trails using the same methods as in Standard surveys. Attend a 1-day training session to take your surveys on the road over a 3x3 mile block. Learn several more invasive plants and search for these as well as Standard level and Intermediate level plants using the same survey methods.